President Mahmoud Ahmadinejad vowed on Tuesday to change his team and show respect for Iran's youth as opposition leaders made a joint plea for the release of hundreds of people held in election protests. Ahmadinehad insisted his re-election was fair, saying: "This was the most beautiful and cleanest election", but he pledged: "The structure of government should change, the changes in the government will be considerable." The new government to be installed in a few weeks' time will put "housing, employment and economic reform" on its agenda, he said in a televised address to the Iranian people following his controversial success in the June 12 poll. 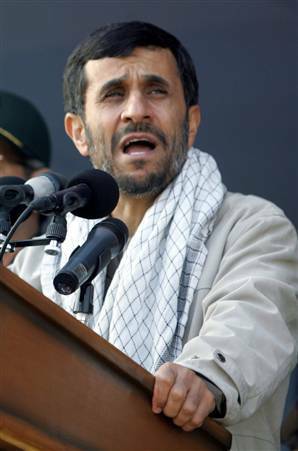 "We must respect people's feelings, especially the youth," said Ahmadinejad, whose opponents allege he was only returned to office through vote rigging.